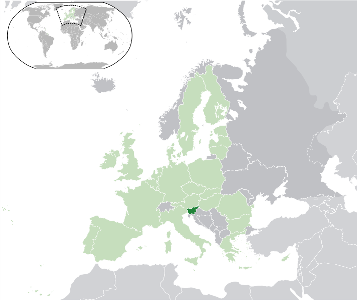 Slovenia,formerly a part of Yugoslavia, is a small country situated in central-southern Europe boadering Italy,Austria,Croatia and Hungary. It joined the Eurozone in 2007, issuing its first coins in that year. Prior to the Euro the official currency was the Tolar. The conversion rate to the Euro was set at 239.640 to 1 Euro on 1st January 2007. For more information on Slovenia, try this link. Return from Slovenia to Slovenian Euro Coins.